November of this year saw Dublin (and Ireland's) biggest and most influential conference to date take place. Dublin's Web Summit welcomed International enterprises such as Google and Facebook to set up stands while just metres away, startups from Ireland and across the globe were selling their wares. Such an event demonstrates that companies of all shapes and sizes have something to offer, can benefit from these types of events and, that we all certainly have lots to learn from each other. As categorised by the Summit, Alpha start-up enterprises are ones that have recently been established (around one year old) and have just or are about to launch to the market. There were 100's of them throughout the halls of the Summit, all with innovative ideas to suit different interests both from a consumer and investor perspective. 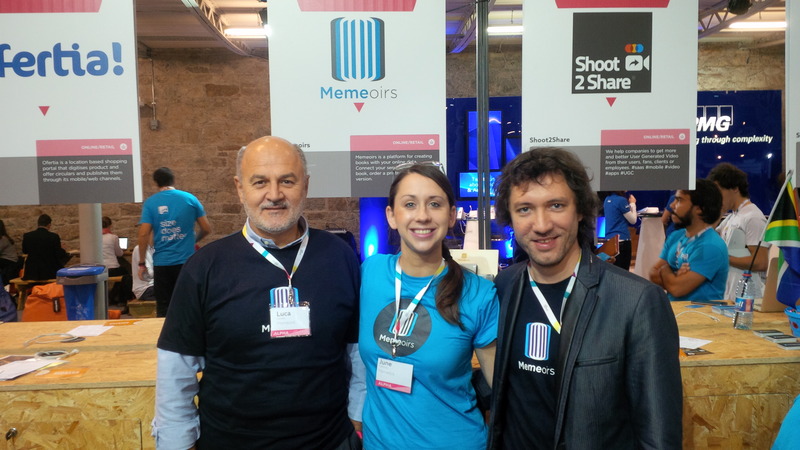 As an early stage company investor, I was intrigued by the start-up stories and how they came to be, and what was the main driver to come to the Dublin Web Summit 2014. One company that stood out for me was Memeoirs. An SME established in Italy, run by Italians and Portuguese with an Irish employee, certainly fits the "International"company profile. What's more interesting is that since the company's establishment, the team have had quite an adventure - first taking part in the Start-up Chile program in Santiago then Techpeaks in Trento before finally establishing their base in Lisbon, Portugal earlier this year. during the day and while on the "pub crawl" at Night Summit). The Web Summit has grown exponentially in just four years. In year one, the turnout was just 400 people. This year, we saw 20,000 people come through the doors of the RDS. 18,000 additional people travelled to Dublin for the event meaning that, each November the event is becoming more and more international. This is supported by the fact that I met people from every corner of the globe, with international team mates and business partners.